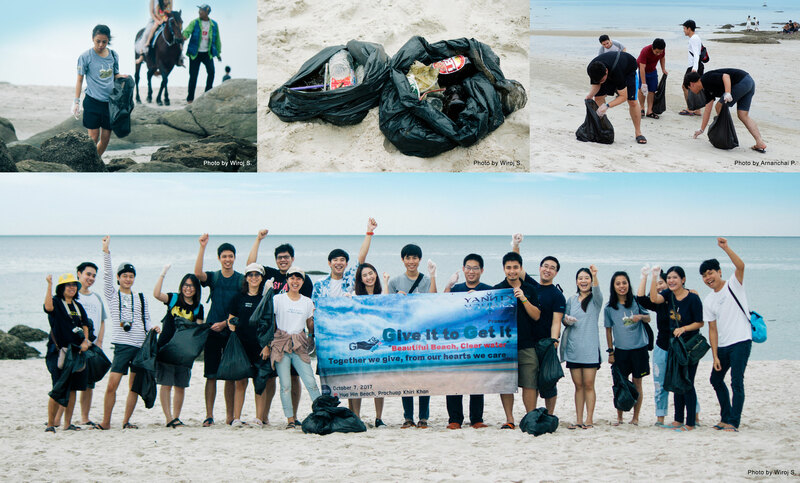 “Clean Up the Beach at Hua Hin” (Give It 2 Get It #13) Final G2G Event for 2017 – Yannix(Thailand)Co.,Ltd. Yannix volunteers, largely comprised of programmers from both the Software Process Development Team (SPD) and the Research Oriented Development Team (ROD), visited Hua Hin Beach for the final Give It 2 Get It event of 2017. The Yannix Team traveled to Hua Hin where they cleaned up the beach and assisted in the larger effort to restore the natural landscape. The objective was to help to improve conditions in order to foster ecological tourism in the region. Through the ‘Give It 2 Get It’ program, Yannix works with communities throughout the Kingdom to help make Thailand and the world a better place. By volunteering, Yannix team members are afforded opportunities to participate in team building exercises in a variety of environments where together they learn to make a difference. Thank you to everyone who has helped to make the Give It 2 Get It program a success in 2017. We hope you will join us in 2018 when we’ll have a new slate of Give It 2 Get It events on the calendar.